Can you believe that I have lived in England for so long but never went for an afternoon tea before my friend’s Bethan hen due? 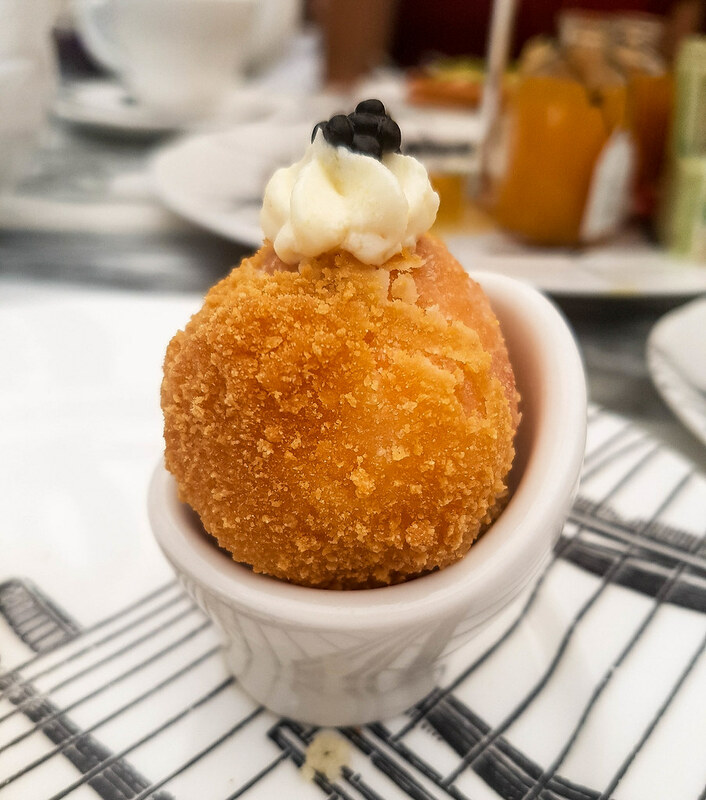 Having an afternoon tea in London is one of those typical British things that you must do when you visit the capital. However, with so many offers out there, it is hard to choose where to go. 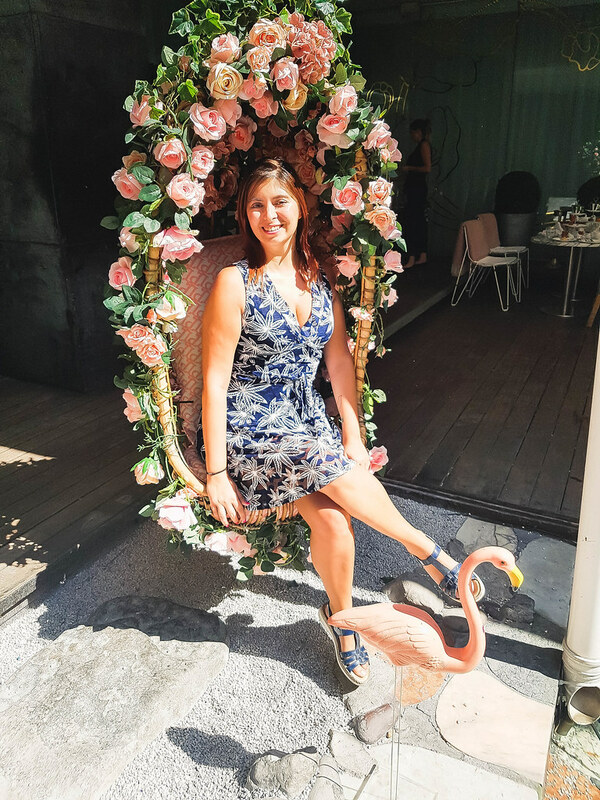 I was lucky that I didn’t have to make the choice and that someone else from our group has sorted out all the details and booked an afternoon tea at the Sanderson Hotel, to celebrate our girl getting married. Sanderson Hotel is situated in the centre of London, in Fitzrovia, a merely 10 minutes’ walk from Tottenham Court Road tube station. It might not look much from the outside, but the interior courtyard of Sanderson Hotel, where the high tea is served, is a proper Instagrammer’s dream. 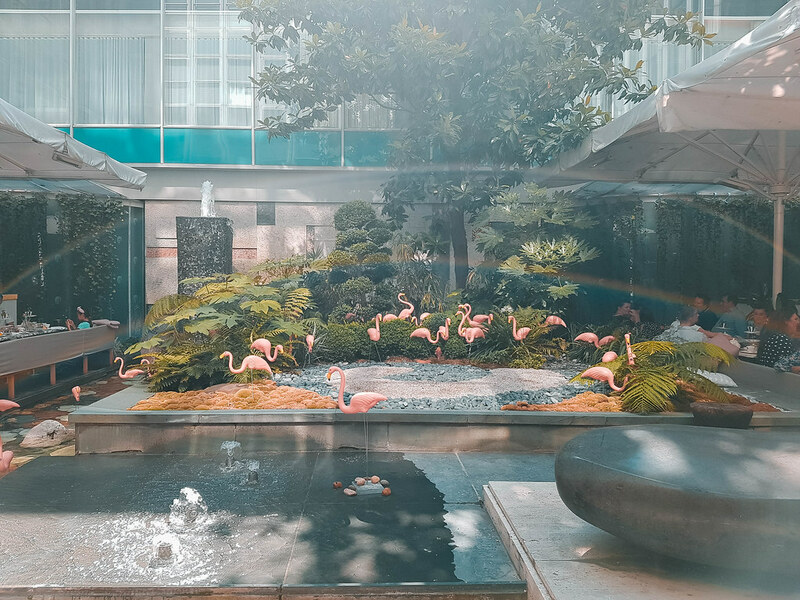 There are pink flamingo statues all over the impeccable zen garden surrounded by tiny fountains, alongside which the tables are lined up. There is even a hanging chair decorated with flowers, for that perfect Instagram shot in which you can imagine you are a fairy for the day. Inside, the bar area is covered by beautiful white wisteria flowers and pink roses hanging from the ceiling. 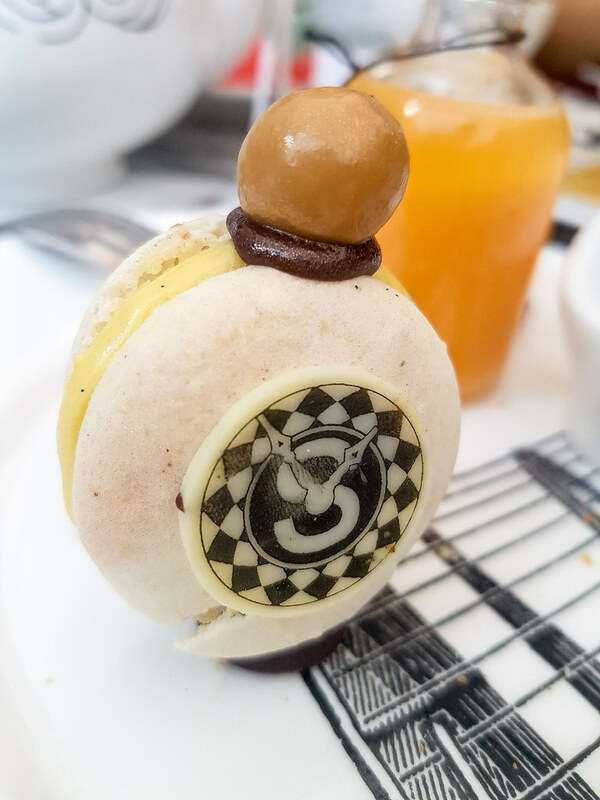 The afternoon tea at the Sanderson Hotel has a quirky theme and it’s a very nice surprise for any Alice in Wonderland fan. 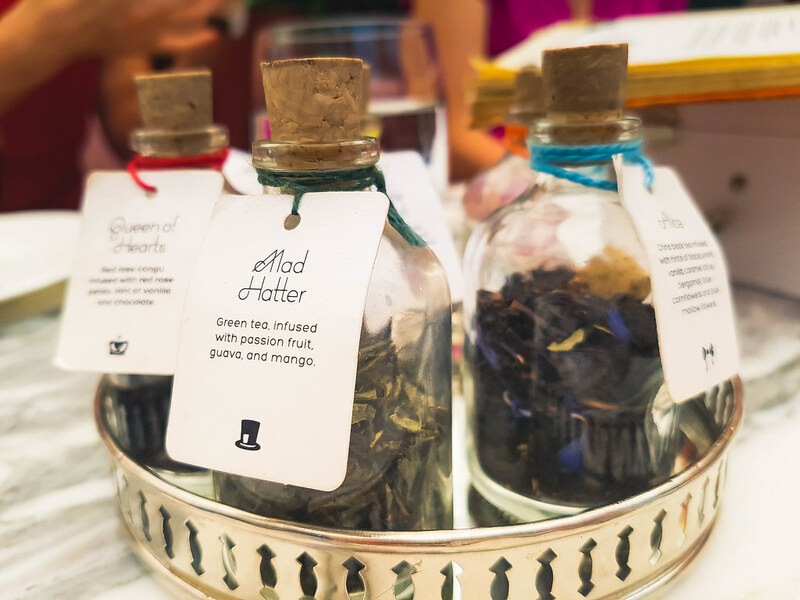 The Mad Hatters Tea Party is inspired by Lewis Carroll’s famous story of the little girl who falls down the rabbit hole. 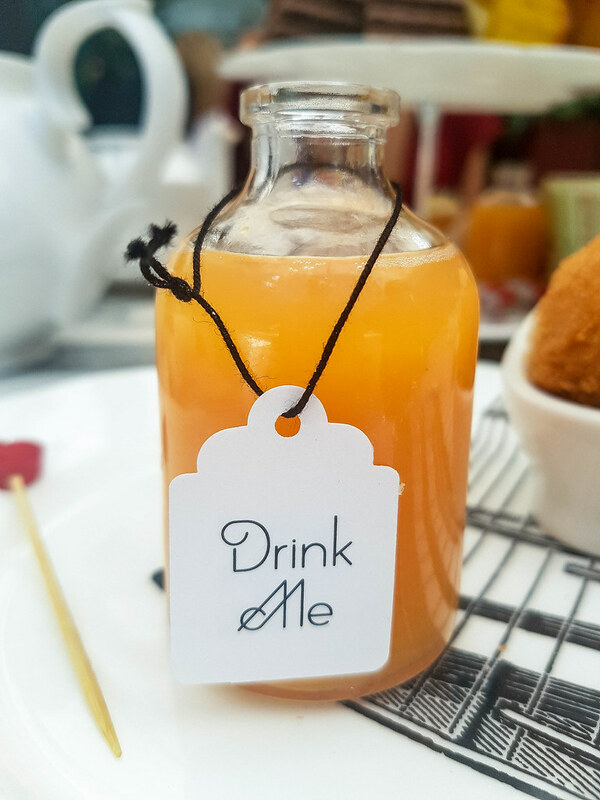 The afternoon tea at the Sanderson start with a little potion with a “drink me” sign of it, a blend of exotic fruits that opens your taste buds to what’s to come. 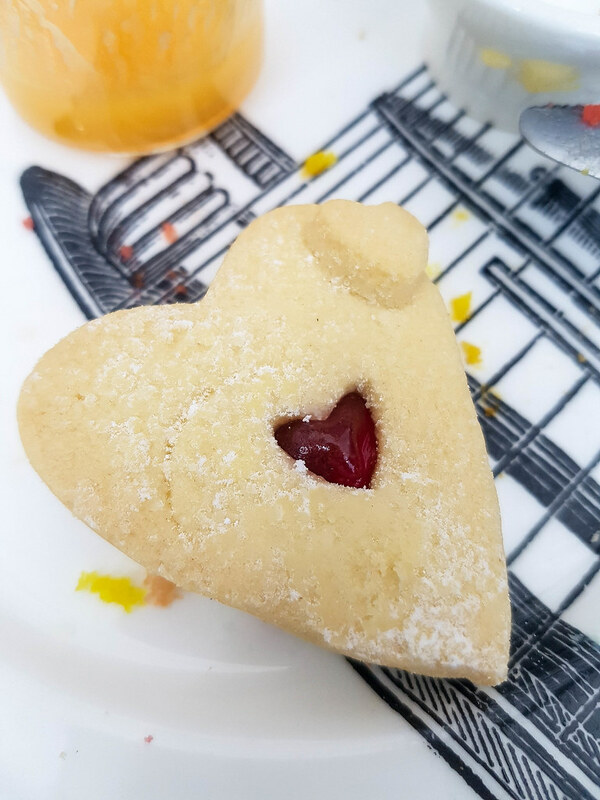 The entire concept of the afternoon tea has been designed on Alice’s story, so you will find many little elements of the book hidden on the table or in the food. There are hearts, tiny notes, cake decorations and marshmallows hidden in the grass. 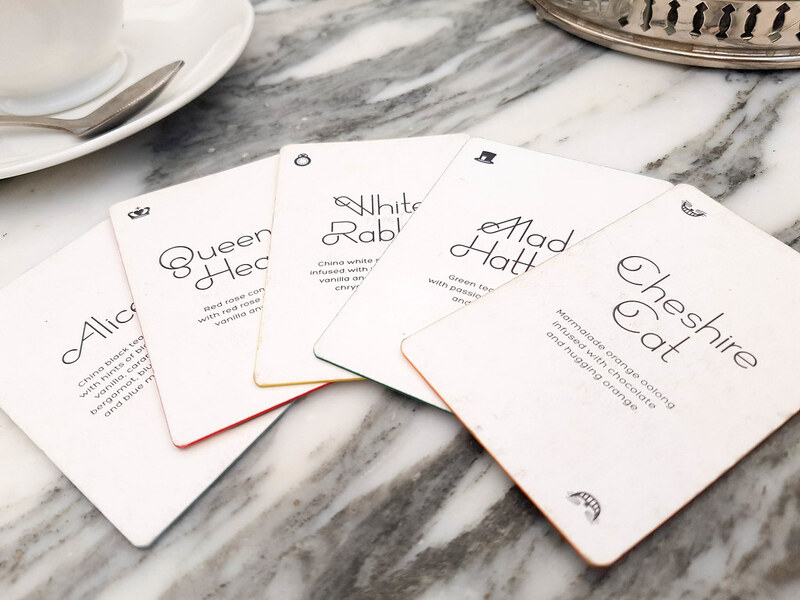 The Mad Hatter’s Tea Party menu is enclosed in an old book with yellow pages whilst the tea options come on playing cards. There are five teas to choose from: Alice (China black tea infused with hints of blackcurrant, vanilla, caramel, citrus, bergamot, blue cornflowers and blue mallow flowers), Mad Hatter (Green tea, infused with passion fruit, guava and mango), White Rabbit (China white silver needles infused with white grapefruit, vanilla and almond white chrysanthemums), Cheshire Cat (Marmalade orange oolong infused with chocolate and hugging orange), and Queen of Hearts (Red rose congu infused with red rose petals. Hint of vanilla and chocolate). I chose the Cheshire Cat and indeed it was lovely, with hints of chocolate and orange. The teas are brought to the table in tiny bottles together with the menu, so that we could smell and get a feel of how they would taste. The cups, tea pots and plates are all decorated with some sort of clue from Alice in Wonderland. 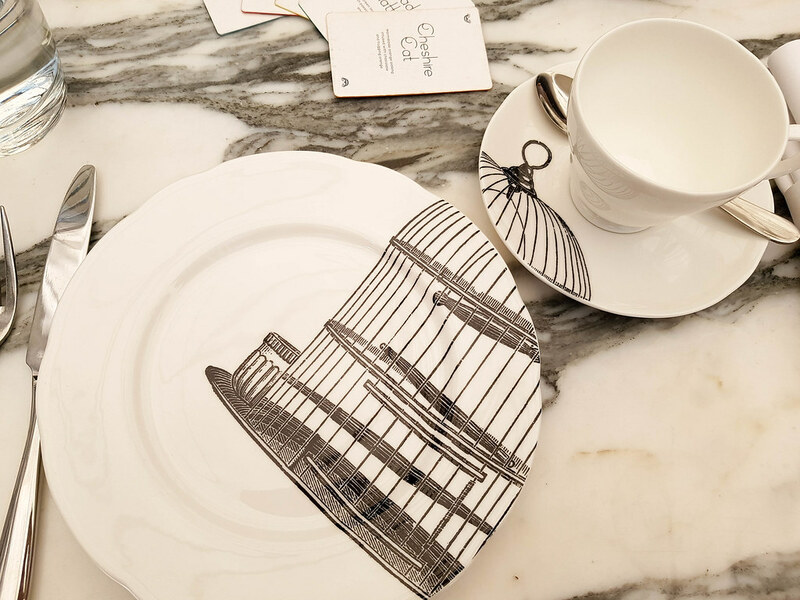 My plate and tea cup had a bird cage on them, whilst from the tea a queen was looking at me. The cones arrived warm, with the clotted cream and raspberry jam enclosed in little round jars. To be honest, I had to take the scones to go, as I was too full to eat them with so many treats laid out on the table. They were quite dense, with a nice hint of sweetness. I guess they would have been much better warm. 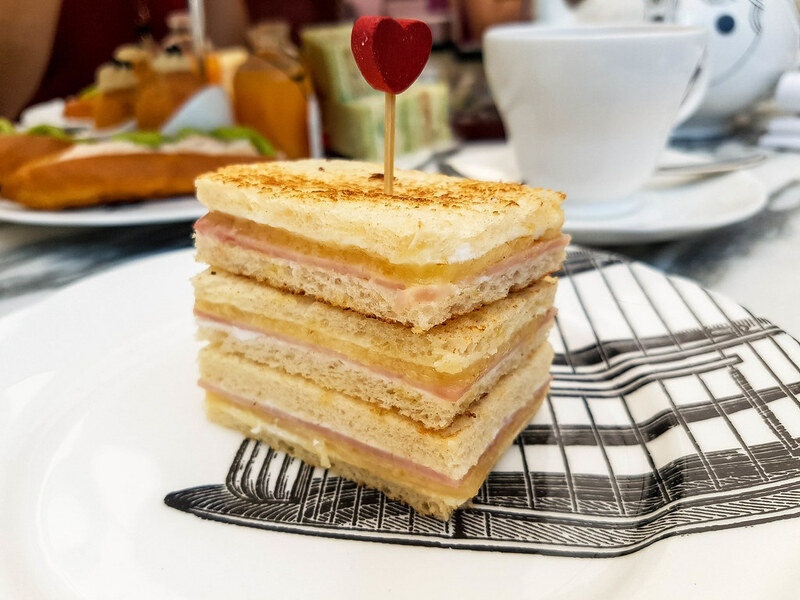 To start, there are four different savoury treats: smoked salmon Scotch quail egg with caviar and cream cheese, Stack of King of Hearts ham and parmesan croque-monsieur, Cornish crab brioche roll with spices avocado and coriander, and White Rabbit cucumber and cream cheese sandwich on pesto bread. 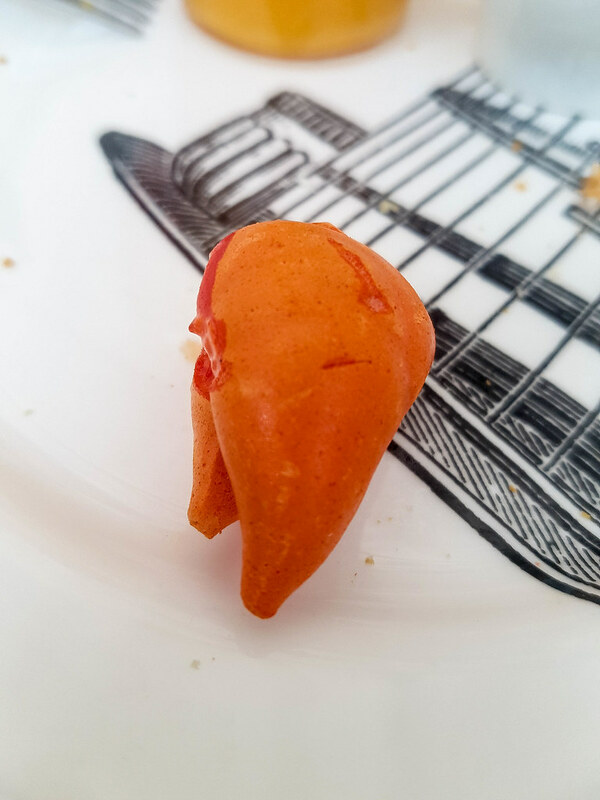 Note that if you have a dietary requirement, as we did in our group with one of the girls being unable to eat crab, let the waiter know and they will replace the sandwiches with something you can eat. The cakes were a proper treat. It was so hard to decide which one to eat first, as every level of the tier stand had beautifully designed cakes, one more tempting than other. 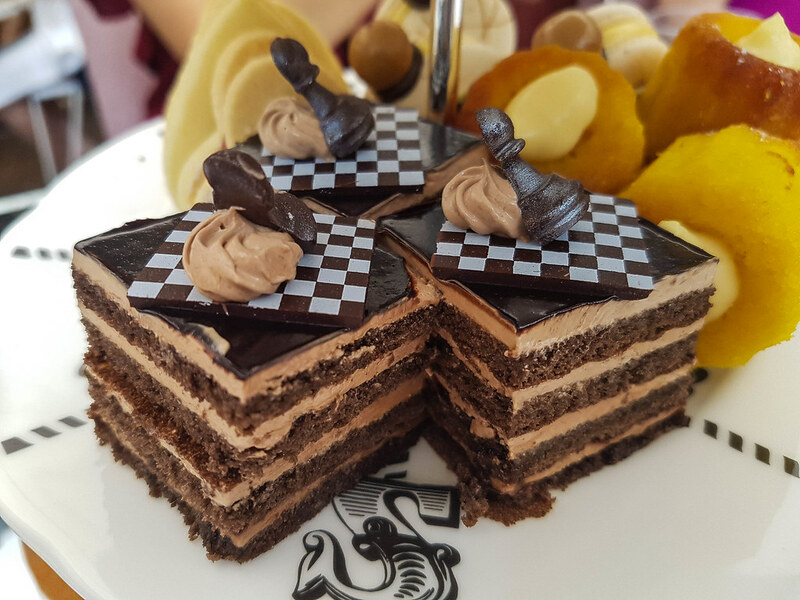 There was a blue chocolate log, a clock macaron, the cutest marshmallow mushrooms I’ve ever seen, even a chess table with a pawn on top of a layered cake. I couldn’t resist taking a photo of each cake! We ordered a bottle of Laurent-Perrier Cuvée Rosé for the table which arrived accompanied by pink flamingo cakes. 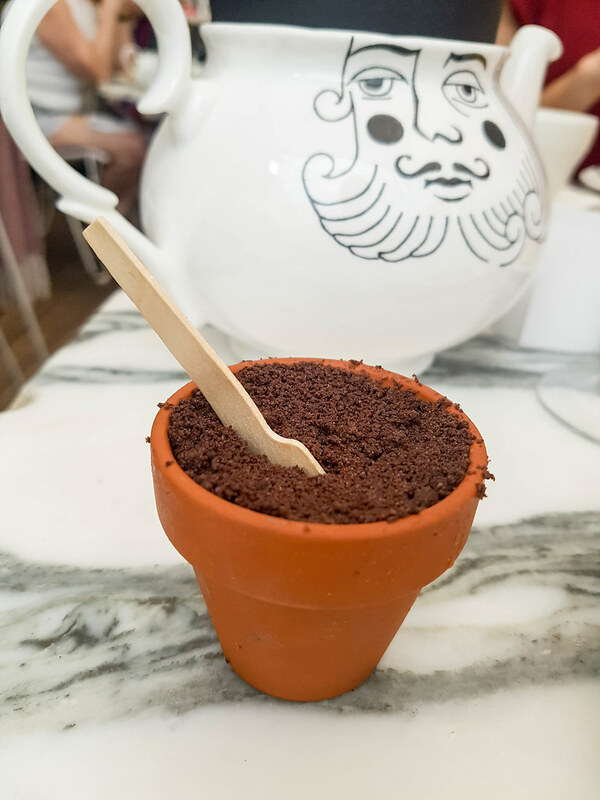 After we ate all the food, the waitress brought out some cute little pots that looked like they were filled with mud. But oh no, they were filled with delicious creamy hazelnut ice cream topped with cookie crumble. How much does the afternoon tea at the Sanderson cost? As in all posh London hotels, the afternoon tea at the Sanderson is not cheap, but as it’s a one of a kind experience, it is worth it. A simple afternoon tea is £48, a champagne afternoon tea is £58 and a pink champagne afternoon tea costs £65. They also have a tipsy evening tea option, where a flight of three cocktails is included, for £58. 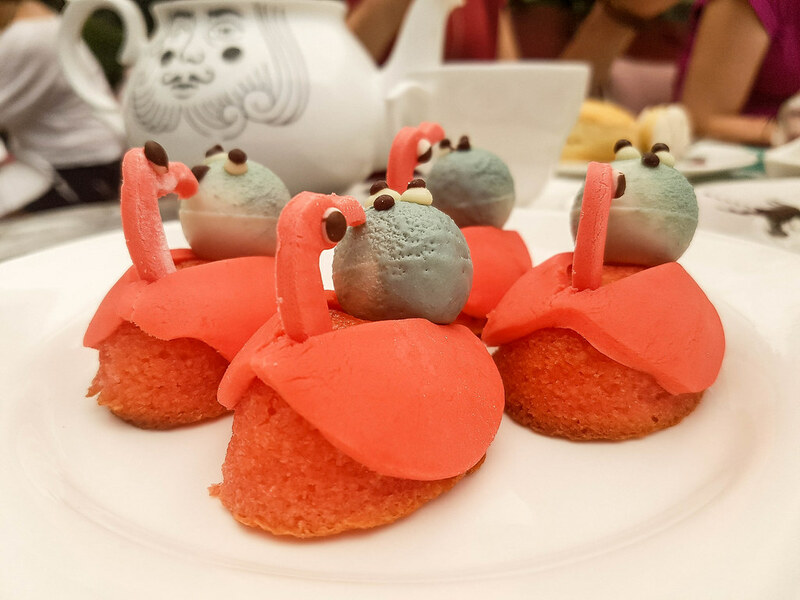 It is necessary to book in advance the Mad Hatter’s Tea Party. This is absolutely amazing! I’m a huge Alice fan, so I’d love to go to something like this! Everything looks good! So much food, tiny tummy! Looks like exactly happened in the movie. Are you sure this is not a movie set? Because Resemblance is quite strong for me. But I must say everything here looks delicious. People should have this theme every now and then, never fails. Wow! This was some tea party. The location, the decor, the fooodd…omg! I’d go crazy here. This is like a dream!! I’m a big fan of Alice and this is just too much! So many details, I be the food was amazing. Now this looks like something I would love. I’ve always been a fan of Alice in Wonderland! I am in love with this theme. The afternoon tea at the Sanderson looks like awesome. Each and everything is beautiful. The interior courtyard is just looking stunning. At one glance I thought they are the real flamingoes. 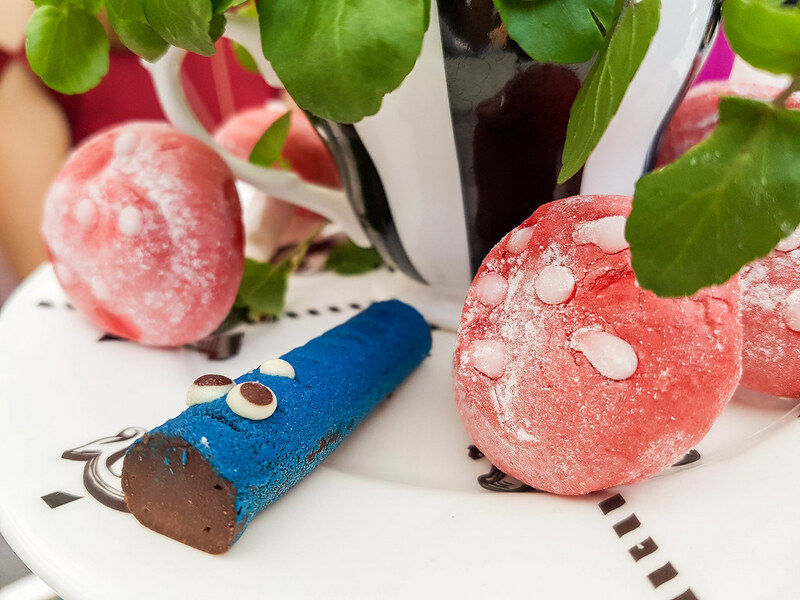 The afternoon tea snacks look so appealing and yummy and colorful too. What a blast you have. 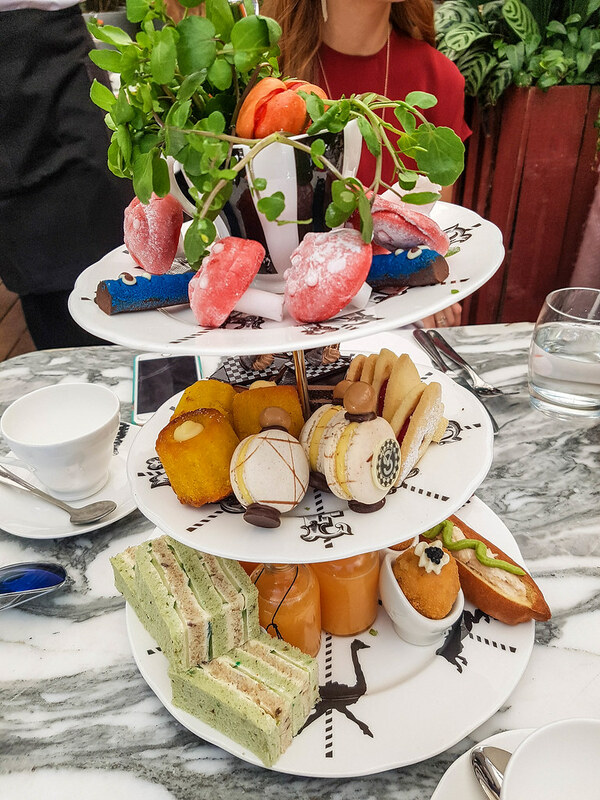 I’ve been wanting to book this afternoon tea for a while so I loved reading your post about it. It’s made me want to book it asap! I love have travel blogs can be great inspiration for ideas on what to do! I would have never in a million years thought of googling something like this before going to the UK. .. and I am a tea drinker! Now this is something I am definitely going to put on my list of “things to do”. Heck, I might even plan for a later flight for my next business trip to London to enjoy this! This looks so yum. 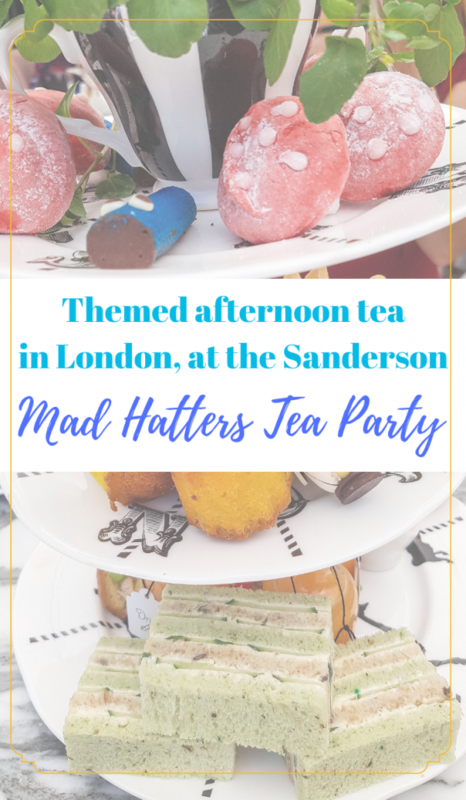 I’ve had a few Afternoon Teas in London over the years and I have been toying with this one for a while. Reading this, I think I really need to go and try it out myself. Thanks for sharing. This entire experience sounds like it was incredible! How cool that you were able to go to this. I love the theme and all the little details that went into it. I love tea and would love to go to something like this. I do love everything about this tea party, from the place and the decors are so beautiful and it looks like a place in a movie. the place looks incredible. everything looks so yummy and delicious. glad you had a great time. It sounds like a nice tea party. The place and the decorations are so beautiful and the food looks so tasty. everything looks so lovely and too pretty to be eaten! would love to check them out with my girlfriends, thanks for sharing! I’m not a tea person but I love everything around tea: teapots, china, pastries, cakes, cookies, tea sandwiches, and of course places. I enjoyed your post so very much. I love Alice in Wonderland and drinking tea, so this would definitely be my kind of party! I love all of the details that went into this theme, especially the bottles filled with loose leaf tea. Wow, what a treat. The food looks amazing and the setting is gorgeous. I love the Alice and Wonderland touches too. 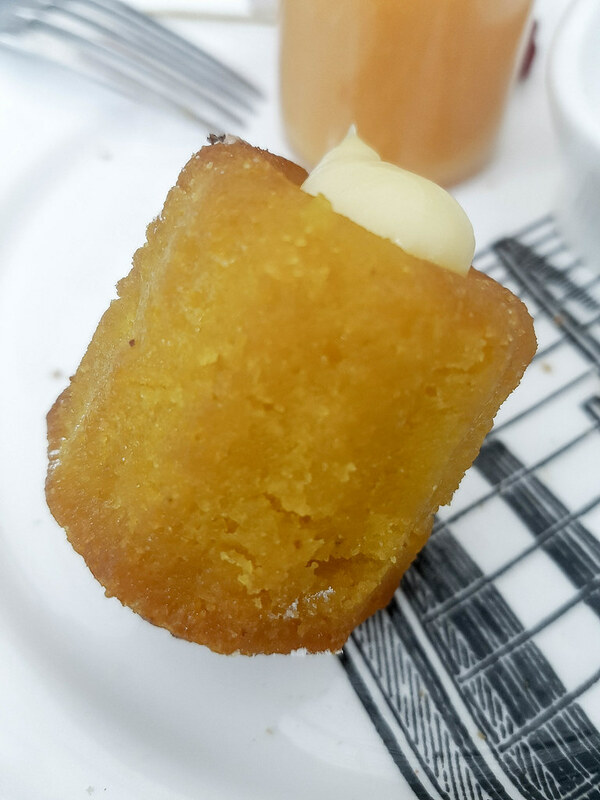 I just did my first high tea with my best fried last weekend, and it was so much fun. But yours is on a whole other level! Amazing! What delightful photos and scrumptious-looking cakes. Thanks for sharing the wonderful time you had. What a fun and great experience you had. I love the theme idea. Itw as really beautiful. I love going to afternoon tea places. The most delicious and relaxing things to do. I hope to visit London one day to experience this. From Macaroons to fancy macaroons to pastries to pot shaped cakes, this invite definitely has me envying you haha loved it! I love tea because it’s so relaxing. It’s my go-to drink after a long day of homeschooling my daughter. Loose teas are some of my favorites because the flavor is more robust. Yum! I absolutely love these themed restaurants, and I have been craving high tea for the longest time. This looks like so much fun! Thanks for sharing such an beautiful themed tea party. Seems like very enjoyable. I love themed afternoon teas, I go on afternoon teas every month but not been to this one yet. Oh my. I love everything about this. Its so detailed. I had a group of friends who used to do teas once a month that I miss so much. This is such an awesome Tea Party! The theme is perfect and the food looks amazing. How good is the theming on this tea. There’s obviously a lot of thought gone into this. What a dreamy place and that tea setting is lovely. Exactly the kind of tea party I’ll love to enjoy. Wow this place looks dreamy and I would love to go. I’ve never been to a formal or fancy tea party like this. I’ve never been to a tea party myself! Would love to attend something like this. How did you control yourself around all there wonderful desserts?! my friend just went there and said it was incredible. these pictures are all absolutely fabulous! !